KFD Almond butter made from almonds is 100% natural butter from roasted almonds. The butter has been produced using a natural production method, which consists in grinding the nuts themselves until a smooth consistency is obtained. The product does not contain any additives, eg in the form of salt or palm oil, which is often found in many products of this type. 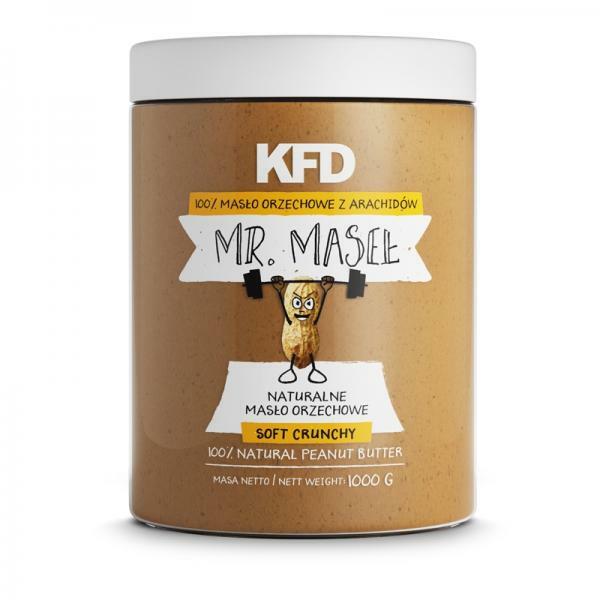 It is a much healthier alternative and more cost-effective in comparison to other nut butter on the market. For the production of KFD butter, the raw material of the first species is used, i.e. the highest quality almonds, which are not industrial wastes. Almonds are a source of healthy fats, fiber and vegetable protein. For people who are physically active and who follow a diet they are a great solution that will successfully replace sweets. In addition, almonds have a positive effect on the nervous system and provide a large amount of vitamins and minerals. Our product is available in the "soft crunchy" version - it has a smooth consistency with the addition of crunchy pieces of almonds. Due to the fact that the butter is 100% natural, there is no hardened content, oil is released. Mix beforehand. It can not be ruled out that it can not be removed. Store in a cool, dry place. After opening, consume within 3 months.